Youth League national secretary for administration, Cde Tendai Chirau, speaking in Gweru yesterday said President Mnangagwa's economic recovery policies as well as the re-engagement mission with the international community should be supported and defended by every patriotic Zimbabwean for they will bring the much needed foreign direct investment and prosperity to the country. Cde Chirau who was guest of honour at the Zanu-PF Midlands provincial inter-district meeting said the Youth League was there to defend President Mnangagwa. "As the Youth League we are ready to die for President Mnangagwa and his leadership. As the Youth League we are there to defend President Mnangagwa with our blood because we are the vanguard of the party meaning we can't be spectators. 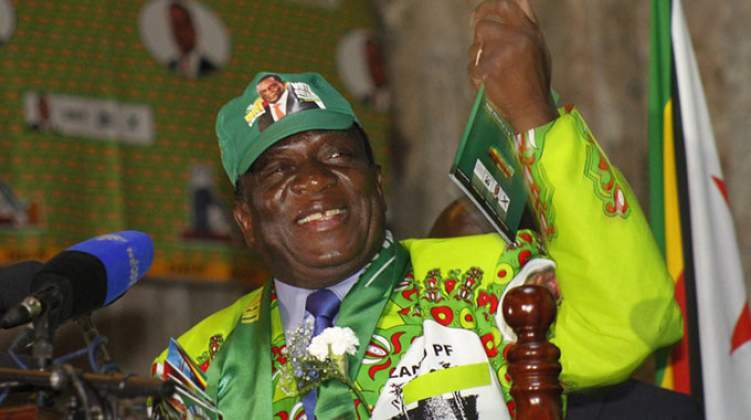 President Mnangagwa has a grand vision of making the country become a middle-income economy by 2030 and has lined up economic recovery programmes which should be defended by patriotic Zimbabweans," he said. Zanu-PF deputy youth secretary, Cde Lewis Matutu concurred with Cde Chirau saying the economy was on transformation. Meanwhile, addressing a ZanuPF Youth League inter-district meeting on Wednesday at Davies Hall in Bulawayo, provincial chairperson, Cde Khumbulani Mpofu, urged the youth to be vigilant in their defence of the party and should not be intimidated by regime change agents. "We have realised that after elections, a lot of things happened, there are some people who are working against Zanu-PF especially the opposition which we can point out as MDC Alliance led by the dramatic little boy Chamisa. "You saw what happened in the western areas in our city, kwasala kule trail of destruction, the city was left in a state of dilapidation with the works sponsored by the regime change agents," he said. Cde Mpofu said the hooligans wanted to cause food riots and despondency in the country. Cde Mpofu encouraged the youths to put on party regalia which he said, some of them had dumped after the violent protests in January.